Seven weeks of travel including a week of glass conventions is just a memory at this point, but the memories are very sweet. Our travels included visits with 5 glass collector friends where we were treated to personal and up close looks at an array of Fenton, Stretch, Carnival, Art and much more glass. It was so much fun and very educational to see these collections – definitely one of the big wows from our summer travels. Another wow was the amount of glass we saw for sale. We came home with some carnival glass, a number of pieces of stretch glass, lots of Early American Pressed Glass, a few pieces of Depression Glass and an assortment of “other” glass. One of the conventions we attended was the Stretch Glass Convention. After months of planning, it finally happened and the displays of stretch glass were spectacular. 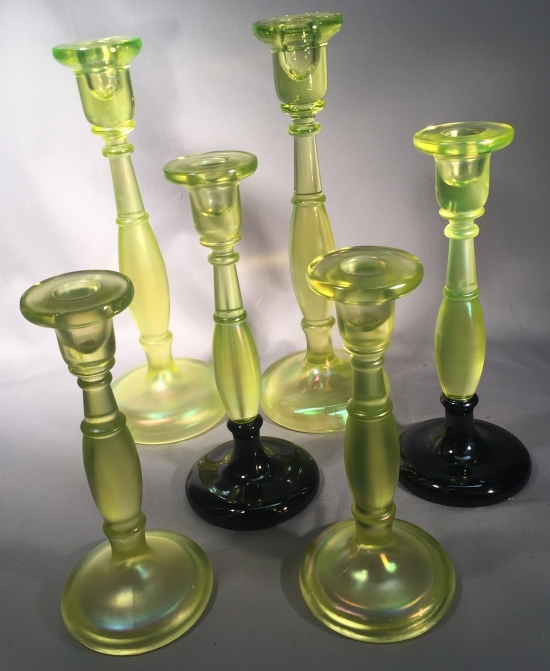 Some very nice stretch glass was offered for sale both by members and by Tom Burns in our convention auction. 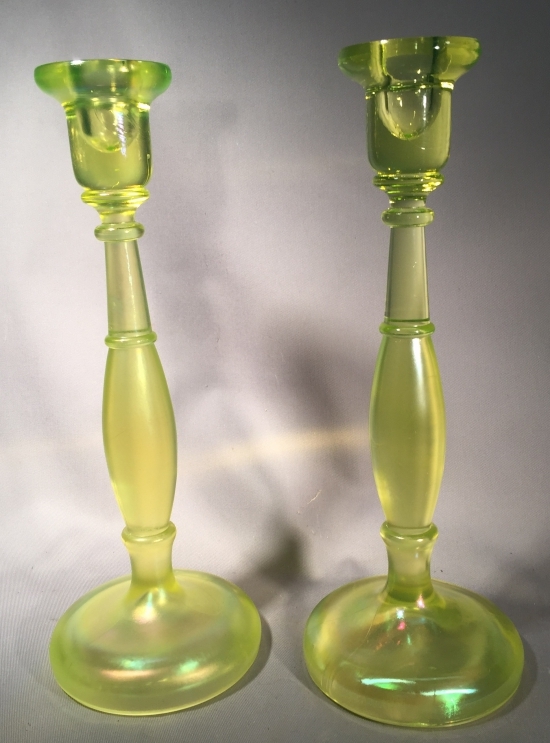 I was very fortunate to come home with a pair of 12” tall Fenton #749 topaz stretch candleholders. They are awesome and are a very nice addition to our stretch glass collection. 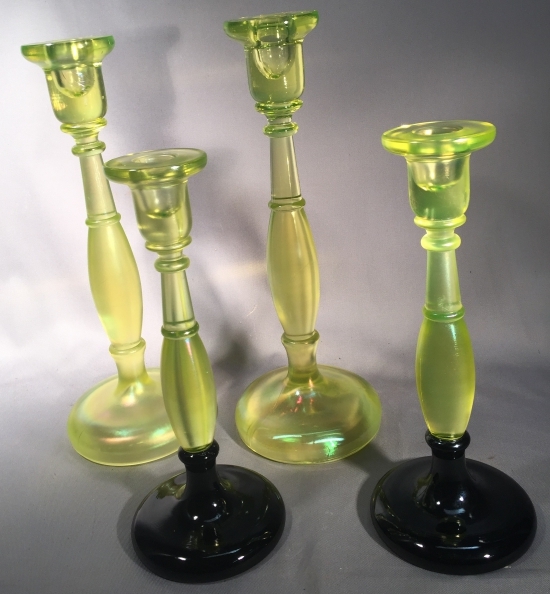 I thought you might like to see them along with a pair of #649 9” tall topaz stretch candleholders with black bases.